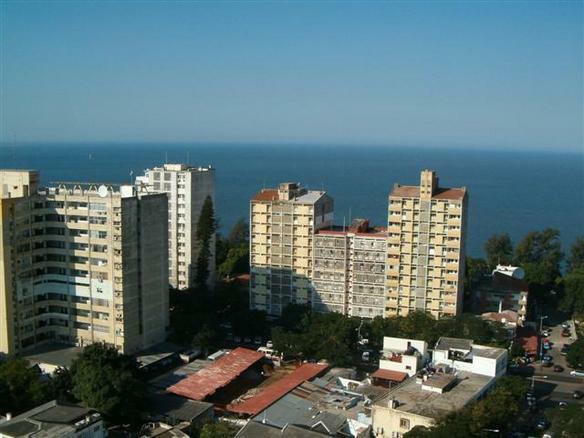 Maputo is the capital and largest city of Mozambique. It is known as the City of Acacias, in reference to acacia trees commonly found along its avenues and the Pearl of the Indian Ocean. It is a port city on the Indian Ocean with its economy centered on the harbour. The city manufactures cement, pottery, furniture, shoes and rubber. In 1871, the town was described as a poor place, with narrow streets fairly good flat-roofed houses, grass huts. The growing importance of the Transvaal led, however to greater interest being taken in Portugal in the port. A commission was sent by the Portuguese government in 1876 to drain the marshy land near the settlement to plant the blue gum tree and to build a hospital and a church. A city since 1887, it superseded the Island of Mozambique as the capital of Mozambique in 1898. In 1895, construction of a railroad to Pretoria, South Africa caused the city’s population to grow and today the city is the best on the coast. Maputo City covers an area of 346.77 km2with an estimated population of over 1,766,184people. Maputo has an extensive road network that connects it with other roads in Mozambique cities; the city is also severed with Maputo International Airport, Ferry boats departing from Maputo to the district of KaTembe.